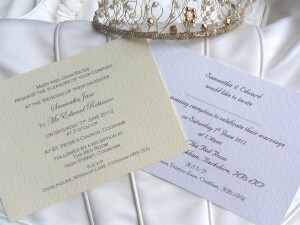 Top quality, elegant and stylish professionally printed wedding invitations for just 60p each. Printed on a thick heavy hammered textured card are a perfect choice for your wedding invitations and can work out cheaper than DIY Wedding Invitations. We can professionally print your invitations for you to add your own decorations or embellishments if you wish. 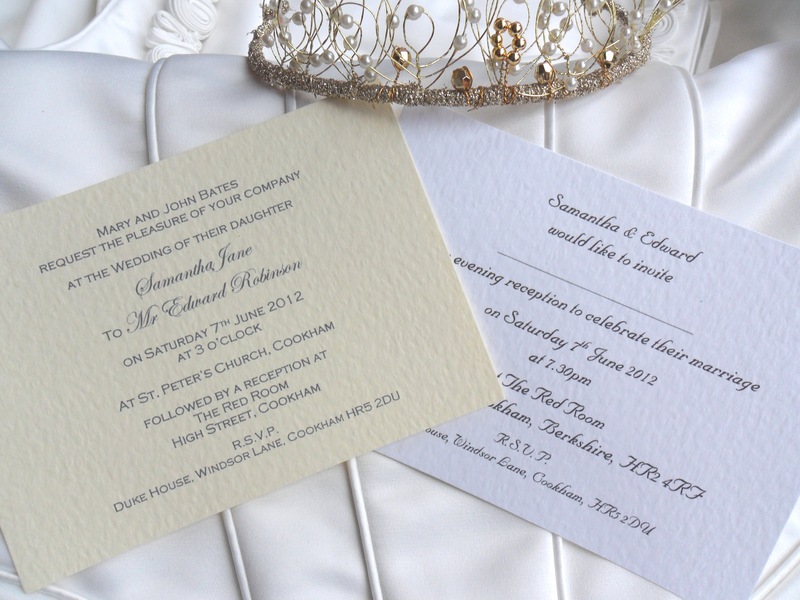 All our invitations are supplied with free matching envelopes and free guest name printing. 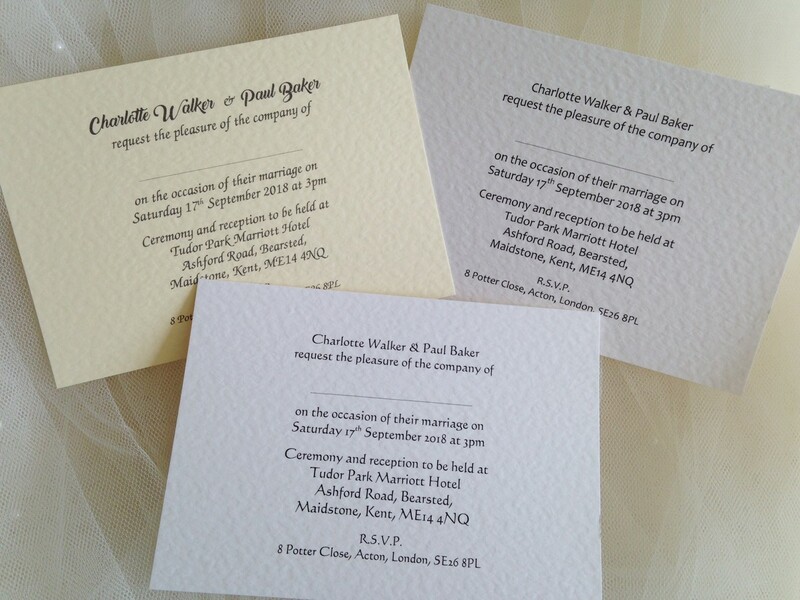 We have a huge range of printed wedding invitations available and a selection of fonts for you to choose from. 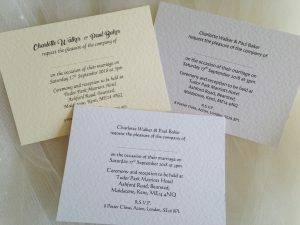 We can print all your wedding stationery in the same font style to match.